April 9, 2012 – Journey to my heart…. I would much rather make a word collage than a picture collage, although I have enjoyed picture collages as well. 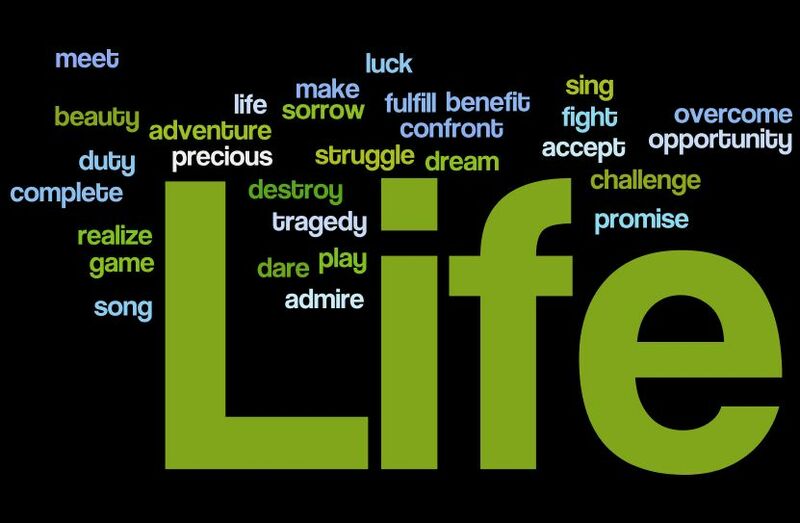 I wonder if you were invited to make a word collage what words you would choose to surround the words LIFE. I found this one tonight and look forward to creating my own in the coming days. Visit http://www.wordle.net/ as a fun place to create…. I was reflecting today on how Easter is all about LIFE…. I don’t want to lose the impact of the Resurrection in the busyness of the day-to-day…. I hope to live my life fully alive, deeply grateful and with a willingness to sacrifice much as Christ sacrificed for me!